Training and getting into shape is an important aspect of our lives, and many people love the idea and convenience of working out from home. Unfortunately, this can often end up being expensive. But, an investment into a home gym (particularly a Bowflex machine) can certainly pay for itself over a relatively short period of time. Bowflex is a well-known fitness equipment manufacturer and their assortment of home exercise equipment is affordable and designed with space considerations in mind. 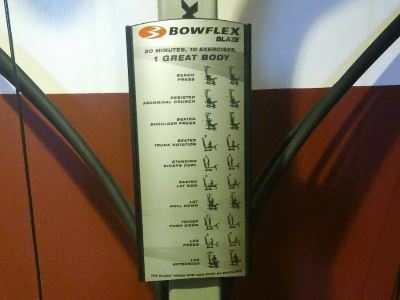 You may have heard of other groundbreaking equipment such as the Bowflex Max. These machines are able to require less space and assembly time that a traditional home gym due to their patented Power Rod technololgy which replaces the good ol’ weight stack found on other equipment. Bowflex machines also provide you with the ability to diversify your training program, and if you invest in one, you will have moved yourself closer towards your health and fitness goals. Can I get a complete workout? How many exercises can I perform with it? Do they offer good value for money? We have set out to look at these machines to help you to determine how beneficial they might be for you. But before we get to our reviews of Bowflex machines, you need to understand some of their features to make the decision process easier. Now that we have seen the models side-by-side, let’s see the best 5 Bowflex home gyms to get you in shape. The Bowflex Extreme 2SE home gym is the latest and most innovative additions to the Bowflex machine family. It offers over 70 exercises and included a staggering 79 diagrams of exercises on the owners manual. These include 24 types of arm exercise and 18 styles of back exercise. The manual also includes relevant information such as how to track your body fat and diet recommendations. The gym has a smaller footprint than most other Bowflex machines due to it’s lacking of a flat bench. Also, similar to the PR3000 it features the ability to change exercises without the need to change cables which should be great for saving you time and also giving you optimal rest between sets and exercises. The Xtreme 2SE also features a squat station where you can attach a bar to the lower pulleys that can be used to simulate a squat bar with weights attached. It’s great multi-function capabilities like this that will allow you to get a full training session every day. Overall, this is a great machine featuring the many benefits of the previous machines plus much more. We can highly recommend the Xtreme 2SE. Limited Time Offer! 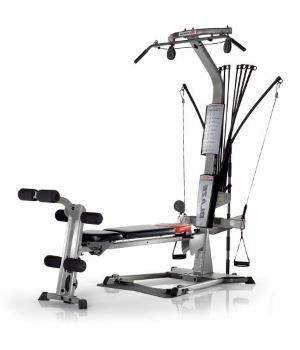 Get $700 OFF+ Free Shipping With The Bowflex Xtreme 2SE! Enter Promo Code: NEW19 using link below. The PR1000 comes up our favorite! Firstly, the packaging is very good and secure. It took us less than an hour to unpack the parts and fully assemble the machine. It is also very affordable. The entire frame of the machine has a 1-year warranty, and the durability has been tested by professionals up to four times for peace of mind that it is a reliable product. 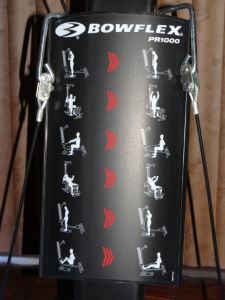 As shown above, the PR1000 comes with a plate providing ideas for exercises that the machine can be used for. But its possible to perform over 30 different types of exercises on it. These exercises target all of the major muscle groups and the various smaller muscle group exercises can also be incorporated. For those who are looking for some additional cardio exercises, it also features a state of the art aerobic rowing machine. The weight limit for a user on this machine is 300 pounds, and it will offer up to 210 pounds of resistance on most exercises. The rowing machine is great for maintaining muscle and beginners will also be able to build muscle effectively. This gliding bench feature also allows you to get a great ab workout. 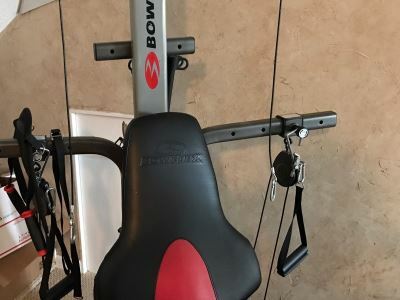 As shown above, the the downside of the Bowflex PR1000 home gym is that it is quite heavy, and you will need a decent amount of space to keep it. The product dimensions are 84 x 38 x 84 inches and we recommended a 8ft by 10ft of floor space to use it effectively. The Bowflex Revolution is an attractive looking machine and can be seen as the ultimate multi-gym as it features the ability to perform most of the exercises that would be available at your local fitness center. With it, you are able to perform more than 100 different strength exercises, and there are also optional accessories available such as a preacher curl bench. The machine also includes a DVD with all of the exercises to show you the correct posture and position in which you need to perform them for maximum effectiveness. The Spiraflex technology is perfect for a smooth resistance, and the 210 pound weight resistance can be increased to 300 pounds as your strength increases. The cushioning on the Revolution is the best out of all the machines on our list. The Revolution requires that you have more space than other Bowfles machines. It requires 112 x 63 inches of floor space and 73 inches of height when the arms are extended. This means that you will need a space of 10ft by 7ft and 7ft high of space to use all of the features and to get the maximum extension for certain exercises. The bench can be folded (below) which should allow you to save space when you are not using the equipment. 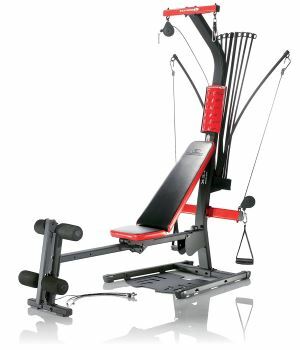 With the Revolution, you should be able to perform a complete body workout with ease but this comes at price higher than any other Bowflex home gym resistance machines. We highly recommend this device for those who are serious about their exercise and even though it is in a higher price bracket than other, it should be considered a lifelong investment. Limited Time Offer! 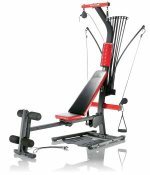 $700 OFF Bowflex Revolution + Free Shipping! Enter Promo Code: NEW19 using link below. 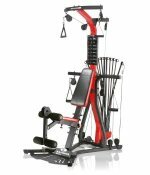 The Bowflex Blaze Home Gym is for those who desire a greater variety of exercises over the PR1000 model. It only requires an extra 6 inches in floor space compared to the PR1000 but offers double the number of exercises. The major difference between this and the PR1000 is the greater ability to train the lower body as the Blaze features more than 60 strength building exercises. Similar to other models, the Bowflex Blaze home gym features a weight resistance of 210 pounds thanks to the power rods, but this can be upgraded to 320 and 410 pounds respectively, thus making this a better choice for those who intend to lift heavier reps. It includes a squat feature which is not common in multi-gyms but makes a huge difference to those requiring a full body workout from a single machine. This works with an included belt (shown above) which is placed across the shoulder, just like a bar when squatting. This is attached to the lower pulley so when the user stands, resistance occurs. So with the Blase, you can expect be able to perform deep squats and also those 90-degree box squats, thus making it more than ideal for leg day. And remember, for leg day check out our squat shoes guide. But these extra features do not come free. You can expect to pay more for these additional lower body training features. This could be considered a more advanced version of the PR1000 and if you are willing to pay the extra for it, we highly recommend it. The upgradable resistance is also something to consider as you can increase this as you become stronger. And for those who already lift reasonable weights, this may be the workout machine to go for. 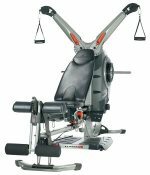 The Bowflex PR3000 can be seen as the bigger brother of the PR1000 as it offers much more in terms of versatility of your workouts but it does also lose some functionality. The PR3000 has a weight resistance of 210 pounds to make this great for toning and developing your upper body, but the machine does require a rather large workout area. Assembly is simple but the height required for assembly is 8ft 4 inches. Approximately 8ft by x 6ft of space is required to be able to use the full extension and all of the exercises. This machine also offers you over 50 strength exercises to choose from and even though the setup is better for training the upper body, you will still have access to multiple leg exercises. 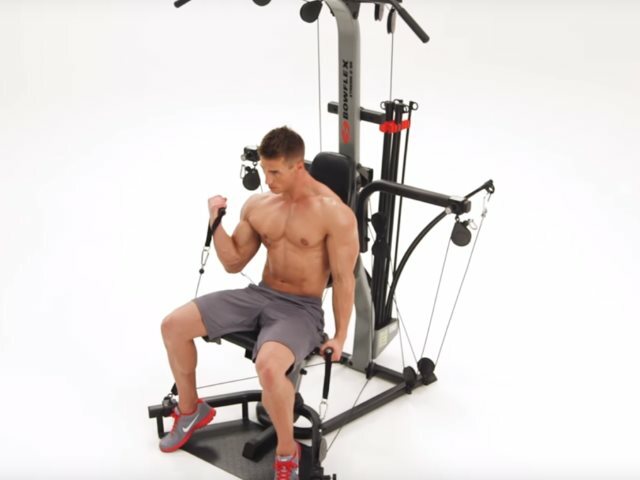 Just like all of the other Bowflex machines, it features an extensive manual detailing each every exercise that can be performed on the machine. It even goes in to details of full recommended workouts and fitness plans. One great advantage of this machine is that you do not need to switch the cables when changing exercises giving you optimal time to rest and recover and also give you the opportunity of getting in a quick workout if you desire. The PR3000 loses the ability to perform rows which our 2 other top machine possess. The bench does also not fold flat, so if you wish to simulate flat bench press, this will not be possible. 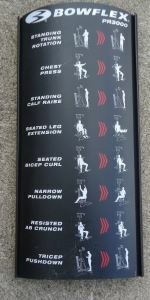 This a great machine for an extensive upper body workout but with lower body features too. It’s also very good if you want to smash out a very quick workout making it perfect for rapid workout sessions after work and early in the morning. Efficiency – To change weight, you simply which rods, you don’t need to add or remove weights from bars. Cost – The Power Rod technology allows Bowflex to keep their costs down as no stacks of heavy weights are required. Space – Having now heavy weights means that there is no need to a large footprint or complex pulley systems. 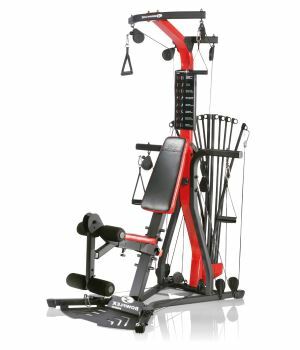 This means that Bowflex machine require much less space than a traditional cable based machine and some models can be folded away. Assembly – These machines are very easy to assemble, disassemble and transport due to not using weights. No monthly costs: Monthly costs and gym fees can become expensive over long periods of time, and they often increase from year to year. Now you will be able to use one years’ worth of gym fees and purchase your very own home gym. Thus giving you a long-term financial benefit and you also won’t feel like you are wasting money when you take a break from the gym. Train anytime of the day or night: Many people work late or have other reasons for not being able to reach the gym, making a trip to the gym harder. You may wish to spend more time with your children, for example. With a home gym, you need not worry about this. Home exercise equipment is also perfect for those unexpected training sessions during holidays when thet traditional gym is closed. 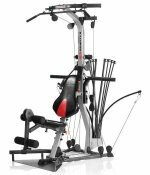 Which Bowflex Home Gym To Buy? We understand that everybody is limited to a particular budget, but sometimes there needs to be more lenience when looking for a home gym. It is important to try and consider how to get the most features that you will need at an affordable price. When you know the standard features of home gyms, you will be more inclined to make the correct decision and save yourself a few bucks. Exercises: Different home gyms can be used for various activities. Yes, the standard chest press and flyes are possible on all of them, but others will allow you to concentrate on smaller muscle groups as well. This choice will all come down to the end goal that you have in mind, and we have seen that bodybuilders tend to go for the more versatile home gyms. Size: Unfortunately, at home, you may find that you are limited to a particular area of space, and this needs to be taken into account when purchasing a home gym. If the home gym is too big, it will take up unnecessary space and thus only be in the way, but a smaller home gym might not have all of the features required for your body sculpting. Maximum user weight: While this can be debated, we consider it to be relevant for people looking to get bigger. A lower maximum weight will mean that you will outgrow the machine and either you will become too heavy or you will outgrow the weights. This is another reason why your goal needs to be taken into account when purchasing a home gym. Added cardio features: It is not uncommon to think of huge muscles when you think of a commercial gym or home gym, but some people might only need to maintain their current shape and perform muscle toning exercises instead. To do that, a cardio feature like rowing can be great. 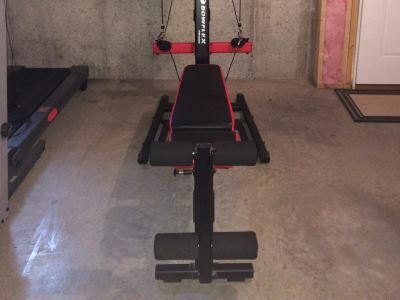 This will increase the price, but this ware you will have more uses for the home gym. Maintenance requirements: Unfortunately, anything that is mechanical needs to be looked after and serviced from time to time. We recommend looking at the service and maintenance plan and also looking at the long-term cost associated with replacing broken parts. How Long Do Bowflex Bows Last? 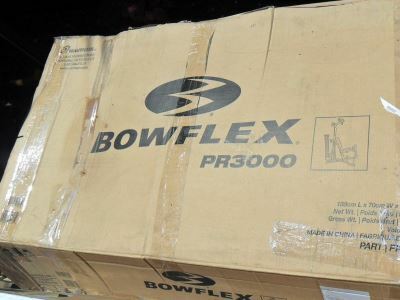 Bowflex is pretty well renowned for the quality of their products. For this reason, you will have a hard time trying to find anyone with a complaint about the build quality and craftsmanship of their equipment. There haven’t been any major well-known issues with their products since 2004. This issue was related to their power tower and bench equipment which was prone to breaking. But even then, the company were quick to offer upgrades to their customers and recalled all 400,000 pieces of equipment. They also doubled their warranties to these customers and also added this warranty to their newer models. So this alone shows how committed Bowflex are to their customers. If you look around online, you will find that there are only a few rare occurrences of the Power Rods or Bows on Bowflex machines breaking. 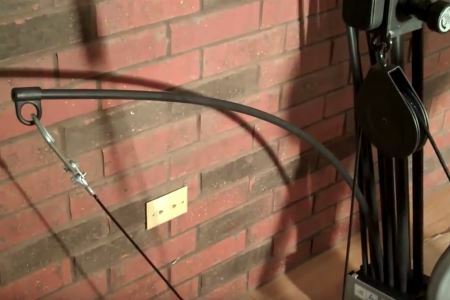 This is because they are manufactured from a special and patented material that Bowflex actually offer a lifetime warranty on if they ever break or become bent. Anyone who has had the rare issue of the Bows breaking, have simply contacted the manufacturer and have had them replaced under warranty. Then you rods were sent to them straight away with no problems. Also when it comes to the reliability and safety of their products, they are well-known to build their equipment to the highest standards. A really good product warranty is quite hard to find these days, but Bowflex has definitely got this covered. How Easy Are Bowflex Home Gyms To Assemble? When you receive your Bowflex machine you’re going to be excited and want to have a workout straight away. So you want to make sure that you can actually put the machine together correctly in the first place. 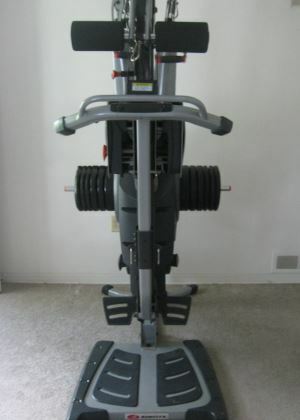 If you’re someone who has a lot of experience when it comes to putting large piece equipment together or if you are someone who has zero knowledge in this type of thing, you will be pleased to know that putting a Bowflex machine together is easy. Even though there are many components to a Bowflex machine, and some of the machines can be time-consuming to put together, as long as you read the instructions correctly and take your time, you will have no problems. Also, they have a customer support line which you can contact if you happen to have any issues. Remember, their customer support technicians are there for you! So don’t forget how much of a difference getting a little help on the phone can make. It’s important to keep in mind that putting any piece of home gym equipment together can take time. While some people can put a home gym together in a few hours, others may wish to do it over a few days. So ensure that you allow enough time, so you do not need to rush to build it all. If you’re worried or concerned that you will have a limited amount of time, just leave it in its box until you are sure you have enough available time. While putting it together, it’s important to take your time. You don’t want to make a silly mistake and have to go back and redo the whole process. At first, it’s always a good idea to lay all of the parts out to make sure that you have them all, so in the unlikely event that there is a part missing, you can contact customer support. Another great reason to lay out all the parts is so that you can envision where each part goes and check you have enough room space to put the home gym equipment together. When it is all together, you will be pleased that you took your time to get it right and it will last you many years of happy workouts in the future. 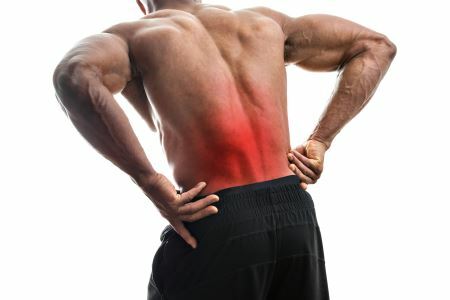 If you are a sufferer back pain, you may have tried a lot of remedies to fix your aching back. Many people just get used to waking up in the morning with a sore back. But a lot of people also forget that a good exercise routine can also be the solution to chronic back pain. The range of motion that the exercises with a Bowflex machine offers is far superior to other resistance machines or exercises, especially those that you can do in your own home. A Bowflex machine can be used to work an entire range of muscles that is a great help to those people with back pain issues. As you may already know, stretching is a great way to ease the pain in your back, and a bow flex machine is a great tool for this. Along with its array of exercises on offer, it can really help you to add some resistance to your stretches and thus strengthening those back muscles. Also, it is worth noting that these machines are incredibly simple to use, easy to adjust and only require a small amount of space in comparison to other home gym equipment. So a gym in the home can be easily folded away requiring an even smaller amount of space. 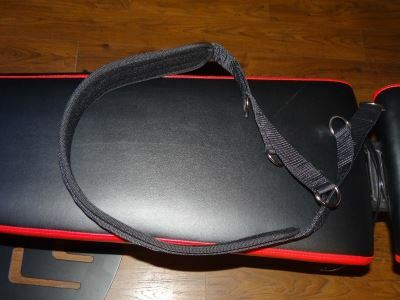 Many people have found that when they use their Bowflex machine regularly, and then they go on holiday where they cannot exercise using the machine, they can sometimes feel stiffness in their back again. It is if their back misses their Bowflex machine at home! As many young people care about their image and fitness, they may want to use a Bowflex machine to help to improve it. But is a Bowflex machine safe for them to use? There is little information from the Bowflex manufacturer themselves on this matter but working out how old a user of a Bowflex machine should be is a simple matter of using common sense. As many children grow, often until they are 18 years of age, this can mean that their muscle and bone is constantly changing as they grow. This should be considered when attempting to determine if someone is old enough to be strength training in any way. Light training is good for people at any age. This can be true especially if a child has an interest in other types of sports such as track and field or gymnastics. 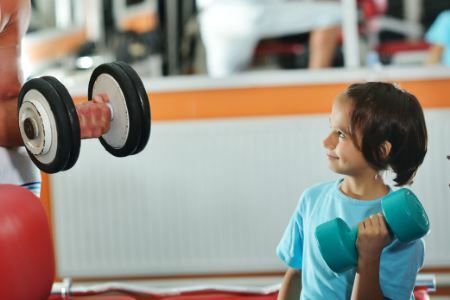 The key to allowing young people to use a Bowflex machine is to ensure that they have the adequate level of training on how to use the equipment safely. As using any sort of exercise machine improperly can cause injury. So it’s of great importance that an adult takes them through how to use the machine properly. Final Thoughts – Which Bowflex Machine Is The Best? We would like to thank you for reading this article and we hope that you understand the fundamentals of the Bowflex home gyms much better. We would also like to recommend all of them, but the PR1000 will be great for fitness enthusiast with its added rowing machine to help you shred weight. I’ve got a lot of love for my Bowflex. It’s pretty handy to have something that I can get a gym style workout on without having to actually go to the gym. Do the bows ever need replacing? sometimes but they come with lifetime warranty so bowflex replace them free of charge. Love my Bowflex Xtreme 2 SE. It has me completely spent after every workout.